Big Cottonwood Canyon ranks number two on Trip Advisor of things to do in the Salt Lake area. There’s tons to do up the canyon from climbing, mountain biking, skiing, hiking, waterfalls, fishing and more. Among its highlights is Silver Lake. 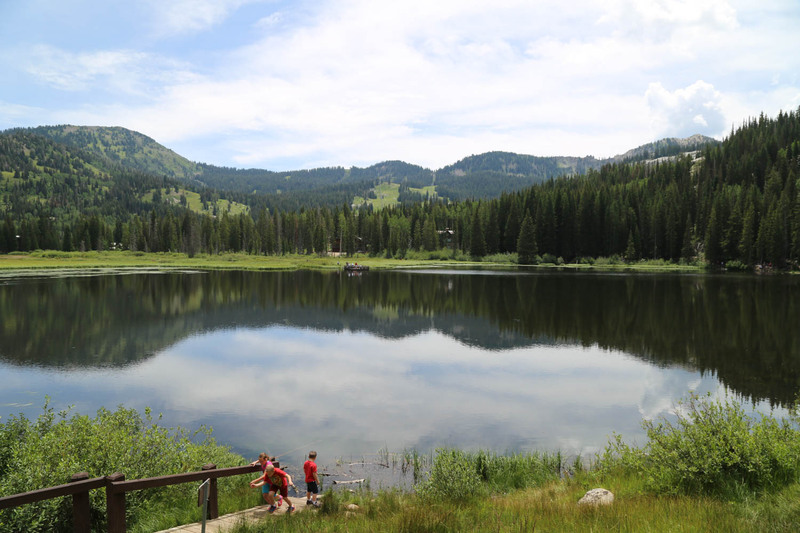 Silver Lake Hike at Solitude Ski Resort is the most peaceful and easiest hike we’ve ever done. It’s located in Big Cottonwood Canyon at the Brighton Ski Resort in Salt Lake City, Utah. The trip to the trailhead takes about twenty minutes driving from the base of Big Cottonwood Canyon through colorful mountains and a picturesque river to its side. When I said it’s the easiest hike, there is a boardwalk that encompasses most of the lake and then a flat trail the rest of the way. It’s ideal for children, strollers, the wheelchair-bound, and for seniors. The hike is only ¾ mile in diameter and can take as little as thirty minutes but we usually bask in the surrounding ambiance, thus taking as much as an hour and a half. There’s an Information Center at the trailhead and someone to answer any questions you may have. Information boards are posted throughout the boardwalk identifying various species and their habitat located throughout the area. Our kids love to walk down to the water in certain spots and point out the fish, ducks, and sometimes even turtles. We’ve even heard of people spotting moose near the lake. They enjoy chasing the chipmunks and squirrels or climbing the rocky wall next to the trail. Parker is fascinated by the logs so cleverly yet naturally placed throughout the woods. Justin and Becca talk to the ducks and are amused by their responses. Katie is our photographer. She doesn’t walk around without the camera, taking pictures of everything she can- the lake, the wildlife, the mountains, our family! Restrooms are found near the trailhead but are quite honestly not spectacular! It’s free to hike there but donations are always welcomed. Parking can be tough during the summer so plan ahead. Extra parking can be found across the street. There are no water fountains in the vicinity so bring filled water bottles. To the side of the trail there are a couple of picnic benches so you may consider doing a picnic before your hike. 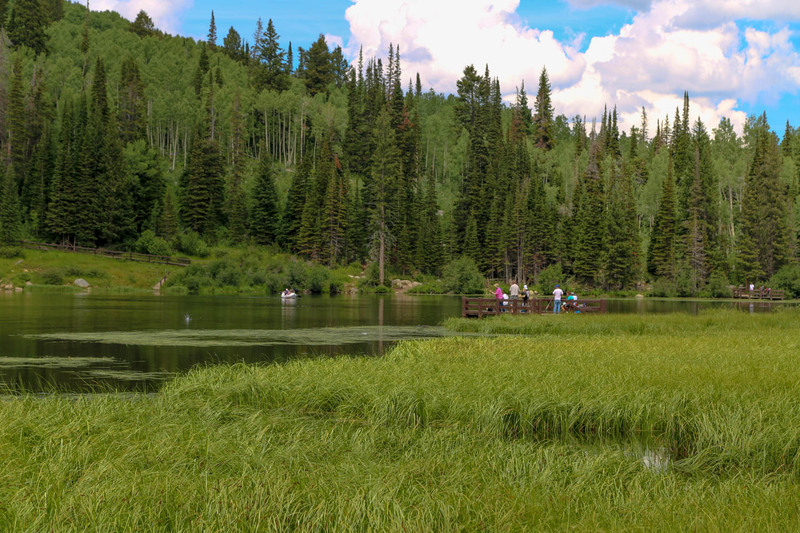 There are a couple of piers and banks along the lake to cast your fishing pole ONLY if you have a Utah fishing license. It’s Utah so there aren’t many bugs. But during the wetter months there are a few mosquitoes.